The new Mystic Nails is “five free,” because it is free of the five harshest ingredients found in other nail polishes. This product is free of Dibutyl Phthalate (DBP), formaldehyde, methylene glycol/formalin, toluene, formaldehyde resin, and camphor. 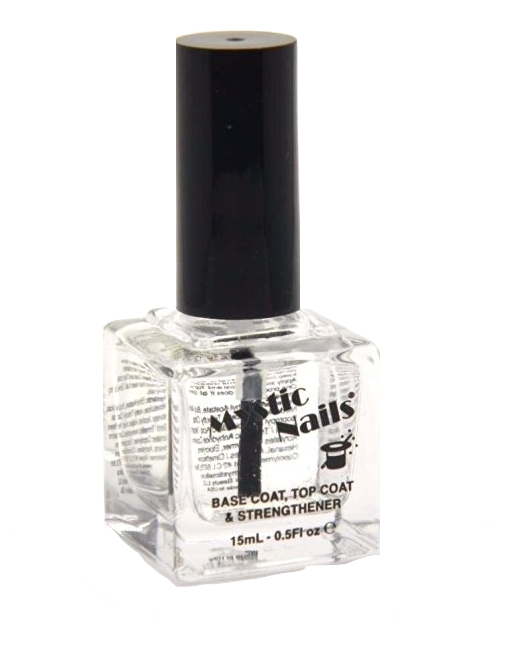 Apply Mystic Nails as a base coat to a clean nail, followed by your favorite color, and then finish with your top coat of Mystic Nails. You can also use this as a base coat to give your natural nails a nice shine.